Performance of a male and female playing a game of Paper, Scissors, Stone, where winner gets to slap the face of the loser. The female player always announces her move in advance, so the male gets to decide whether to slap or be slapped. 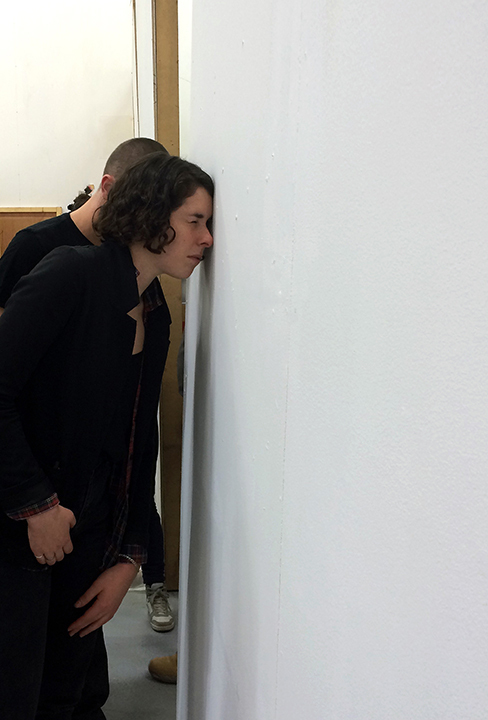 The performance is viewed through a small peephole in the wall, restricting the field of vision.